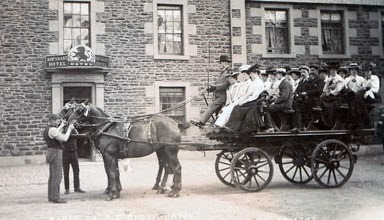 Ros at http://genwestuk.blogspot.com/ has come up with the idea of an A to Z genealogical challenge for the month of April. It soon got me thinking, so here are my contributions. Mortcloth Records - A mortcloth or pall was draped over the coffin or the body itself for the funeral, and the payment of a fee to hire one from the church is sometimes recorded in old parish or kirk session records. Prior to compulsory registration, It can often be the only evidence that a death has occurrred. I must admit I am unsure whether this is just a Scottish custom or more widespread. Medical Terms - are you stuck to understand a cause of death on a certifcate? Then take a look at http://rmhh.co.uk/medical.html which explains medical terms. Militia Lists - Was your male ancestor aged around 20-30 in the period of the Napoleonic Wars (1790's-1815)? Then he might well appear on the Militia Lists, whereby each parish was charged with setting up a volunteer force in the event of a French invasion. 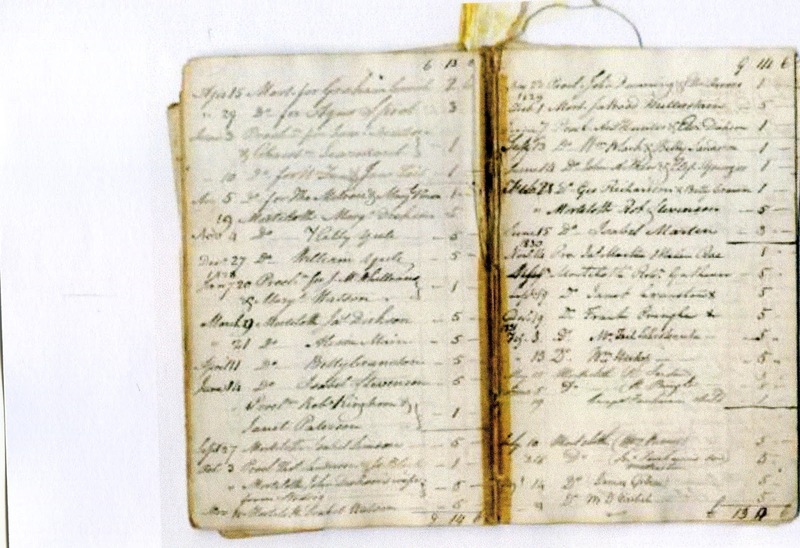 The lists may give little more than a name, address and occupation but, as with all archives, there is a fascination in seeing actual handwriting relating to an ancestor, written during his lifetime. They are also particularly noteworthy in pre-dating the first published census of 1841, so may be the only record of an ordinary man. Militia List, Castleon Parish, Roxburghshire, 1797. Middle Names - I like middle names as they can often be a big clue, not only in confirming that you've found the right person, but also in alighting on the possible maiden name of a mother or grandmother. For instance I was once looking on the internet for a George Hogarth from Scotland who emigrated to Canada. I found him amongst many George Hogarths, because of his mother's distinctive surname used as his middle name. In my own family, my uncle Harry Danson had his grandmother's maiden name Rawcliffe. as his middle name. Maps - Are you wanting to find a map of where your ancetor lived in Scotland? Then take a look at the website of the National Library of Scotland at http://www.nls.uk/collections/maps. Its map collection is the largest in Scotland with over 2 million items, many of which you can download. Plus Much More such as: Marriage Bonds and Marriage Certifcates, Message Boards, Monumental Inscriptions, Military Records, Mariners, Mormons and Miners. 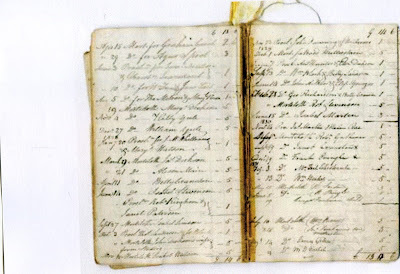 Mortcloth Book of Smailholm Parish, near Kelso, Roxburghshire 1822-1847. I'm really enjoying all your entries highlighting just how much is available beyond just BDMs. I only wish my McCorquodale ancestor hadn't done such a good job of hiding from the militia and mortcloth entries.